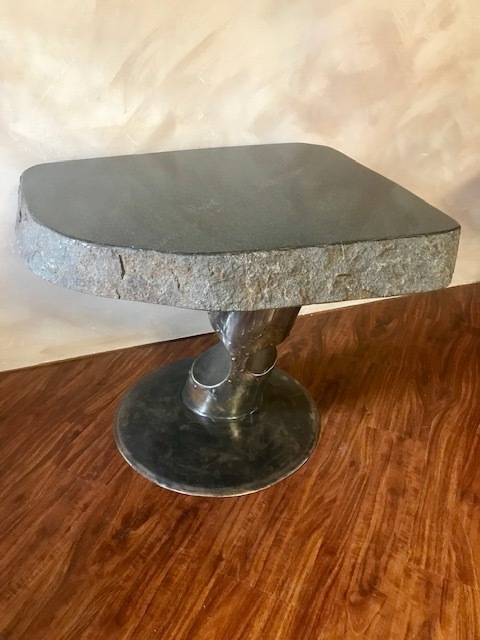 Polished Black Granite table with sculpted base. 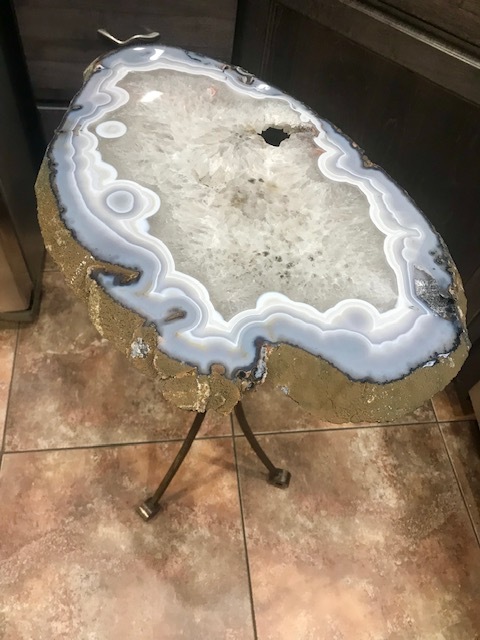 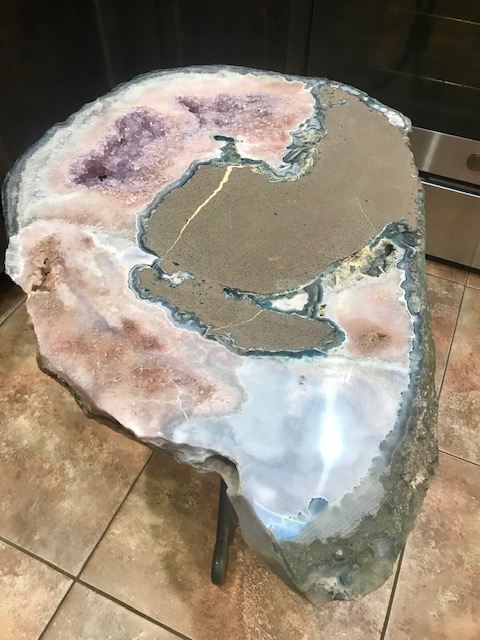 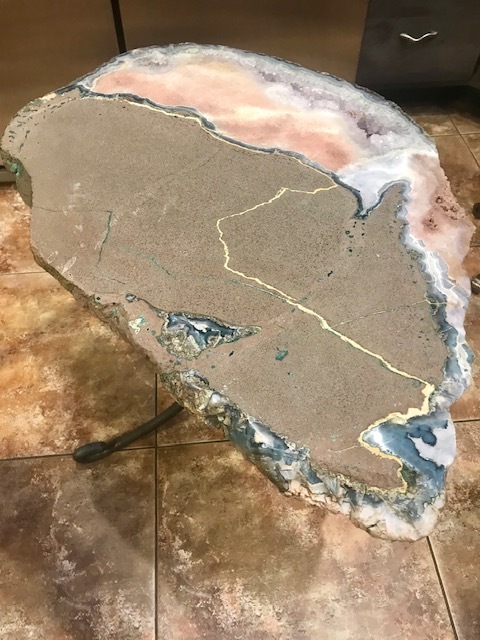 Natural crust on the outside of the stone and polished top. 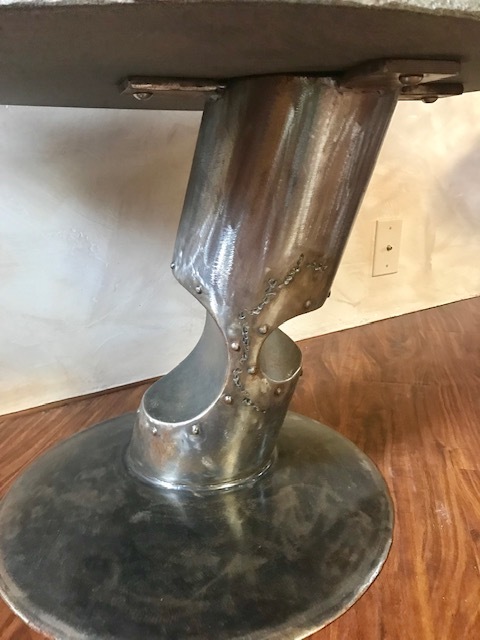 Frame is sculpted steel with holes cut out and sculpted rivets for an industrial look. 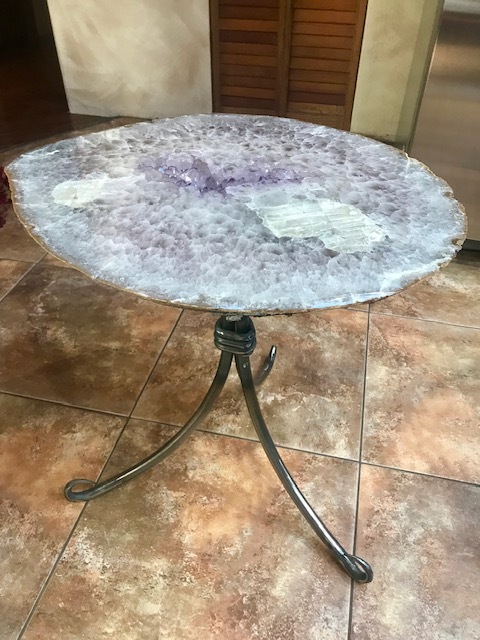 31″ x 21″x 3″thick stone and stands at 20.5″ tall.